Light, sturdy, practical and functional. their elegant and versatile shape. Innovative mobile workplaces for emergency, anesthesia, intensive care, OR, ISO-modules, medication, MRI and more. 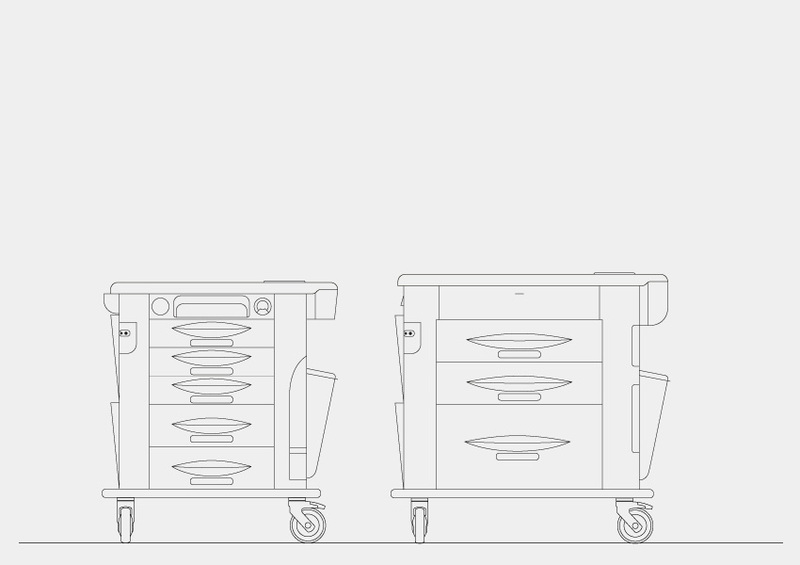 The complete and innovative range of models, the wide offer of accessories and the continual development of the product allow versatile and cutting-edge solutions, adaptable to any hospital ward or use. 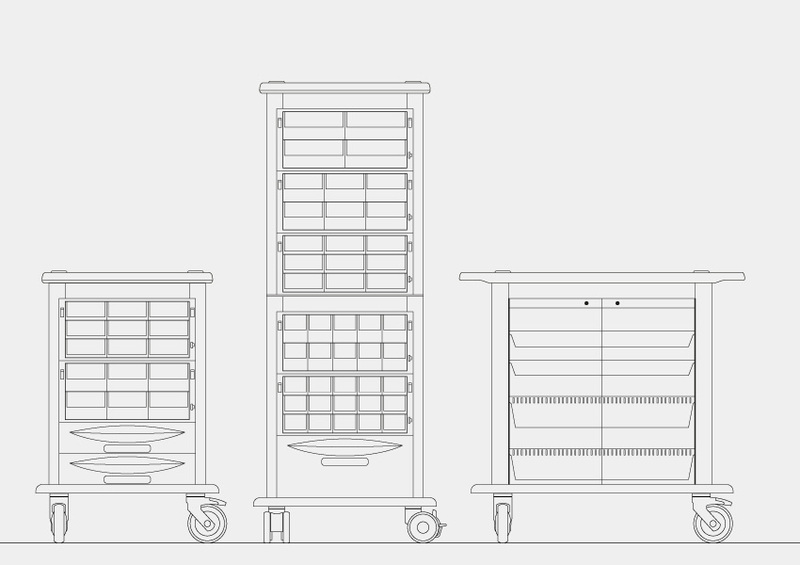 The large range of coulors enhances the functionality and the aesthetics of the trolleys, to make the environment the most welcoming and comfortable as well as to distinguish wards or specific functions.